Sounds like an English pub name, Wheel on Barrow, a drinking establishment in Barrow-in-Furness harking back to the days of wooden carts and straw on the floor. A runaway cart carrying ale could have crashed into the pub beginning the name Wheel on Barrow. I digress. No wonder I don’t get into the garden. Blame the barrow! The warmer weather is beckoning me outside. 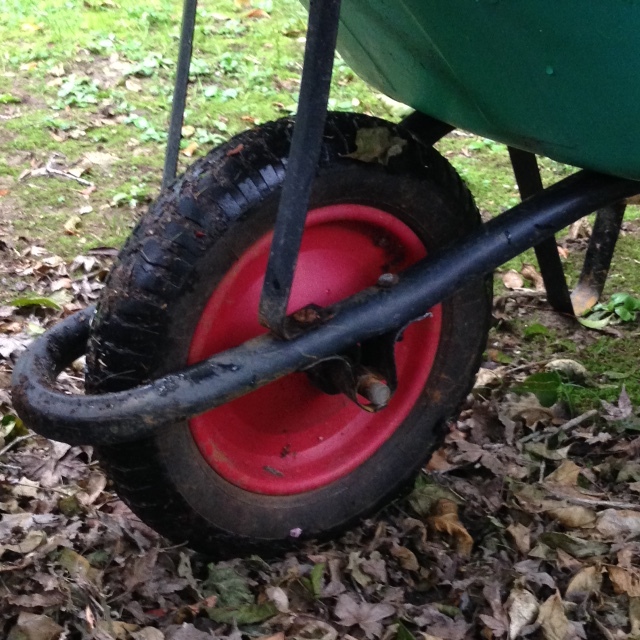 The hurdle that has stopped me from getting outside earlier was the wheel on the wheel barrow. It was flat. As flat as could be. It made me feel flat. Today I got out the bicycle pump and tackled the annoying job. Did it take hours to fix? Was the tyre punctured? No and no. It took five minutes at most. Boy do I feel satisfied. It really is the small things that matter. On with the garden tidy up so I can get the vegetable garden ready, the outdoor seating area comfortable and the weeds under control. Now that I’m on an active streak, I will try and do a little something each day. I have a very daring female blackbird that stalks me closely when I’m pulling out weeds and sweeping up leaves. I can almost touch her, she gets so close. She is a welcome garden companion. Did you know: Female blackbirds aren’t black! 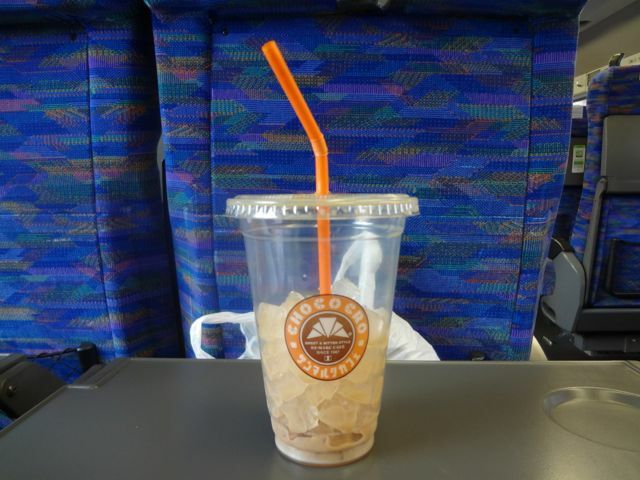 Is this the last ice coffee for me? I am almost a month without caffeine. I asked my husband if he noticed a difference and I was told absolutely. For the better if you were wondering. For me I think it is a good thing to forgo caffeine. That doesn’t necessarily mean that I will never have an espresso or an iced coffee or a latte, pot of tea ever again. No it means that I will give my body a caffeine holiday. I stocked up on coffee beans so we have four bags in the cupboard. Oh dear. With only half the household drinking coffee the rate of use has dropped dramatically. I used to make a latte every morning. That said, I don’t drink milk now either as I don’t get a chance to mix it with my espresso. We buy a 1l instead of a 2l of milk now. Do I miss it? Not really. I like the smell of coffee though. Do I crave a latte? No. But if I see a latte served to someone else I think, oh that looks good, but I don’t feel that I’m missing out. Masala tea would be the only thing that I might miss. I have to try milk with spices instead and see if that makes up for it. I have yet to do this. At Chinese restaurants now I ask for hot water instead of tea. At Korean restaurants I have roasted barley tea. At cafes I order herb tea. At restaurants I go without. I may feel differently in a couple of month’s time. When I buy food that is wrapped in plastic in the supermarket I have been in the past known to carefully check the back for the small print and by that I mean is to find out what the heck is in the bag. If the ingredients have long names I tend to avoid them, this usually means additives that I’d rather not have them in my body. I then look at the calories and see if there is an alternative choice between what I am holding and what else is on the shelf. Of course I check the price too. Lately I don’t bother. It’s not because I don’t care any more it’s because I tend to buy the same things. I definitely need to change my menu. I have the app Chemical Maze that I use when shopping for a new item. It lets me know what certain ingredients really are. Whether they are good, okay or bad for my health. There are so many imported foods where the regulations are different and what is acceptable in one country is not in another. Small print often states made from local and imported ingredients which is not helpful at all. It might just as well write made from ingredients from Earth. It doesn’t help in anyway. Do they think we are that stupid? I think they do. Do they think they are being clever? I do. I do not agree with it at all. 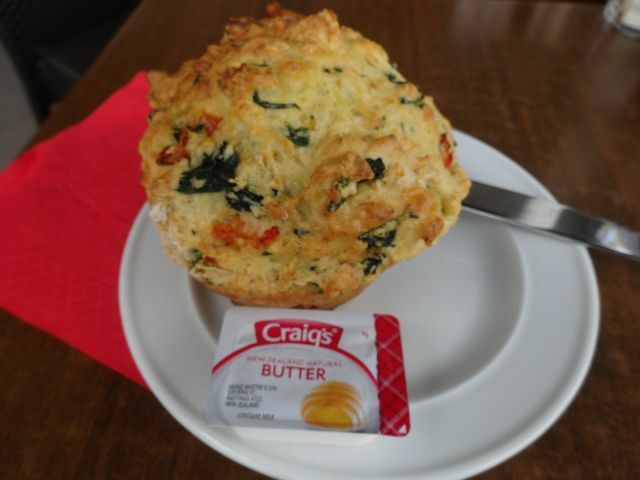 A new voluntary health star food labelling system is going to be rolled out in New Zealand along the same system as Australia. A health star rating will be written on packaging. Note the word voluntary though. With the health star rating it will state how healthy a product is clearly. (Appliances have an energy rating system and the food rating looks similar.) I imagine that healthy food will display it proudly and unhealthy food will chose not to be involved. This I suppose is a clear way to navigate the supermarket aisles. The customer is not stupid. We know that eating an apple is better for us than eating a bag of chips. We really do know that. We make poor choices that is all. The fewer the poor choices the healthier we eat. Auckland citywide has the excellent grade system for food hygiene here. This covers butchers, fish shops, delicatessens, bakeries, restaurants, fast food stores, anywhere that food is handled. This is supposed to be displayed in a easily viewed location, preferably in the front window. This is not always the case. You are entitled to ask what a premise’s rating is. Cleanliness in the food service industry should be the first condition for good food. Again this is not always the case. I commend Auckland and Dunedin cities for having the rating system. I wish other cities in New Zealand would do the same. Dunedin’s food hygiene rating search is here. When you go to a cafe or restaurant they don’t have to write on the menu where their ingredients come from. Some proudly display where fresh produce come from. In season is the best. That is the only way people ate before refrigeration and low cost airline freight. They don’t have to tell you what ingredients are in the food either. Unless its a peanut, egg or other food allergy then really they don’t have to state. So all that careful checking at the supermarket for your health goes out the window when you step into a food court, cafe or restaurant. Nuts, isn’t it. Excuse the pun. You can always ask the waiter/waitress and they will ask the chef if they don’t know. Sometimes it’s up to us to hint to the owner that we would like to know the answers to these questions. The more people that ask, the better. Dining in or out is supposed to be a fun experience. If we learn something, it’s a bonus. We do have to eat daily and if we can enjoy mixing up the flavours all the better. One more point to add and that is the Entertainment Book. For those of you unfamiliar with this book/app it is a grouping of dining and other entertainment establishments that give a discount to you for dining or using their services. The purchase of the annual Entertainment book/app runs from June each year. With each purchase of the book/app a portion goes to a charity. The book/app is city specific and can be found in Australia and New Zealand. The app is out just this year so you don’t have to clip a coupon you can just redeem electronically. Got to love technology! The thing I like about this book/app is that it suggests trying a new dining location, it allows you to eat where you might not normally and it helps you to get to know your city better. I would recommend this to anyone who is new to a city an expat returning, a local or even if you are on holiday with your family. The savings are definitely worth it. It covers fine dining to fast food, movies to accommodation and much more. *I do not receive any reward for mentioning Chemical Maze nor do I work for the Auckland or Dunedin councils the Ministry of Primary industries, or the Entertainment Book. Thank you Benjamin Franklin (1706-1690) for the quote that most of us remember, it helps that it rhymes. But he wasn’t the first one to think it and write it down. He just wrote it more simply than Aristotle’s translator. Aristotle also wrote about sleep in On Sleep and Sleeplessness in 350 BC read the translation in full here. Not so sure of the need to get up before daybreak but getting a proper amount of sleep going to bed at a reasonable hour is the ideal. For some it’s not possible, shift workers, those with infants, illness… Just one good night’s sleep can make the world of difference. We often have the knowledge, we sometimes tend to not take the advice, that is all. Sometimes we don’t like being told what to do. We rebel because we can even to our detriment. In the moment we just don’t care. But we should. It’s our lives after all. Have you ever had a marathon evening of watching the entire season of your favourite drama, then looking at the clock and realising that it’s three in the morning. The feeling the next day is like you are always trying to catch up and that if only you had had more sleep you wouldn’t feel like you head was full of static. I bet I had you thinking for a moment that I actually ran! I used to run cross country many moons ago. Now I wonder how. The most active at the moment is walking. And I make sure to take myself out at least five times a week to get out and have fresh air and sun when it appears. The way the weather is at the moment you have to catch the sun in between showers or hail. The sky is blue for now out one window but it is raining and sunny out the other. The joys of winter madness. We are all different. What is normal for one is abnormal for another. Some manage four hours sleep each night and to them that is normal, that to me is insane. I’m not assuming there are newborns in the house either. I am reading Anthony Doerr’s book Four Seasons in Rome and he talks about sleeplessness and coping with newborn twins. Sporadic sleep would make anyone grumpy or at least an excuse to be so. I was wondering yesterday if going without caffeine has had any affect on me. I must be Day12 caffeine free by now. I couldn’t really pin point anything until I drove to the supermarket after dark. My night vision seemed to be improved. I don’t really enjoy driving at night. I love driving during the day. But at night it is a different story. My depth of vision is challenged. I need more concentration driving at night. I avoid it when I can. 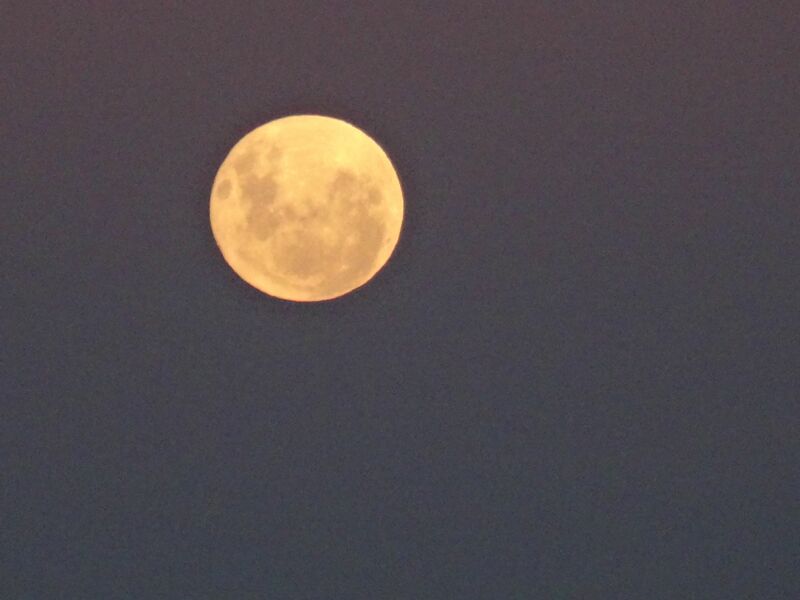 But last night I felt like I could see through the dark like a nocturnal being. I don’t wear glasses to drive. Is it possible for my vision to be affected by caffeine? I recently got my first ever pair of reading glasses. I was quite excited about that. I was looking forward to choosing the frames. This is unrelated of course by I can’t help sharing. I know many people dread wearing glasses but I have been waiting ages for the chance. Excited even. I bought a pair last year against blue light emitting from the computer screens. Nice frames too. I searched “caffeine and eye sight” online and found that apparently I’m not the only one noticing a difference. I may decide not to slide back into drinking coffee every morning after all. Still love the smell of it. No need to give it up completely. I am enjoying the range of herbal teas that are on offer. 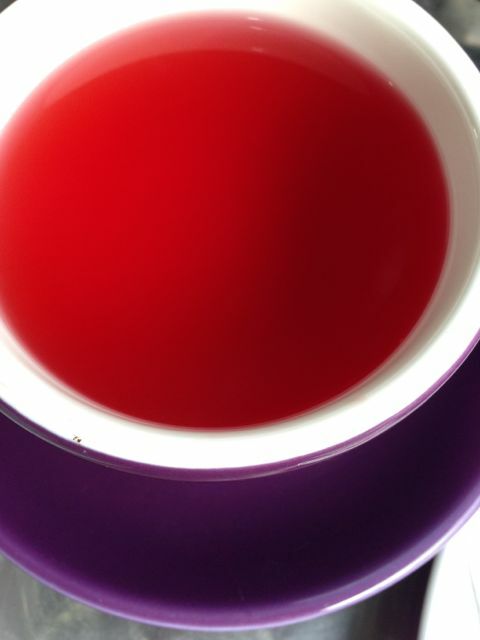 Today’s photo is of Cranberry & Pomegranate Tea served in a wonderful purple cup. Love the colours. Here I am at Day 11 of a caffeine free moment in time. Do I miss it? No not really. Was I an excessive coffee drinker? No. Then what’s the point? I wanted to see if I felt any different without it. Plus the fact that it was easier to give up coffee than the occasional glass of wine or biscuit. Habits are what they are, something that you do without thinking. To break one is harder than to create one. That is why some suggest to graft a good habit onto a bad old one, that appears to be easier. It all requires thought and will power. So what am I drinking instead of coffee? Chamomile tea, licorice tea and lemon water. I absolutely love licorice tea. I love licorice sweets and was eating an obscene amount so I thought perhaps I would look at the tea form instead. It sat in my cupboard for ages. I was rebelling against the alternative from the “real thing”. With this coffee challenge that I have put to myself I revisited my tea cupboard and looked at the licorice tea and brought it out again. Turns out I really like it. Too much. I was reading about licorice tea and it is suggested not to drink more than three cups a day for more than four weeks. I was drinking three cups a day and loving the naturally sweet taste of licorice. I have cut back as I intend to keep drinking it when I get back to coffee. Yes. I said when I get back to coffee. I’m not trying for sainthood here, just a little balance and listening to what my body wants for the best. We all know that coffee in excessive amounts make us a little edgy or shaky but gives the illusion of energising. Long term affects of multiple cups per day of coffee cannot be good for you. I just wanted to see for myself if I felt any better. Less bloated? More energy? Lighter in mood? Less PMT? I found it easy to give up. However I found the habit of the 3pm cup a little hard to break but in walks licorice tea and saves the day. It has also removed the urge to have biscuits or cake then also. How long will that last, I wonder? I plan to have my latte in the morning at home. As my only cup of coffee of the day, I shall savour it. Milk makes it sweet enough so that I don’t need sugar either. A bit of a bonus. My 3pm cupper will be licorice tea or masala tea and I may just break out the good china cups and saucers for this. And my night drink will be chamomile tea. And any other drink in between times maybe green tea or lemon water or masala tea. I do have a packet of peppermint tea in the cupboard that I haven’t really given too much thought, that will also be on the menu at our house. I’m getting a little ahead of myself. I want to be a month without caffeine so lets keep on track. Off to boil the jug, it’s almost three o’clock. Cheers! Caffeine content of drinks from the Mayo Clinic here. *Licorice tea should not be consumed if you are taking Warfarin.